AFRICANGLOBE – Africa is not only blessed with warm weather, a variety of wildlife and great people and food, but also with great historical sites that tell the diverse and rich history of the continent. Below are top 10 historical sites that you should visit during your next trip. 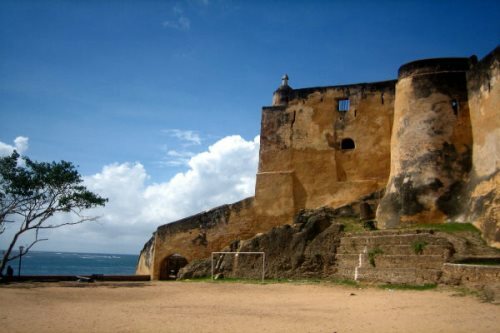 Fort Jesus was a Portuguese fort built in 1593 on Mombasa Island. It was built to secure the safety of the Portuguese living on the East Coast of Africa, and it experienced more turbulence than any other fort in Africa due to the hostilities of interested parties that lived in Mombasa. It was attacked by the Omani Arabs from 1696 to 1698, and was used as barracks for soldiers and a prison by the British between 1837 and 1895. The fort was designed by an Italian architect and engineer, Joao Batista Cairato. It became a museum in 1962, and it is a UNESCO World Heritage Centre for its historical reflection of the Renaissance period and its documentation of the military innovations of the 15th and 16th centuries. The museum is open daily from 8am to 6pm, and entry fees range from $0.99 to $12.